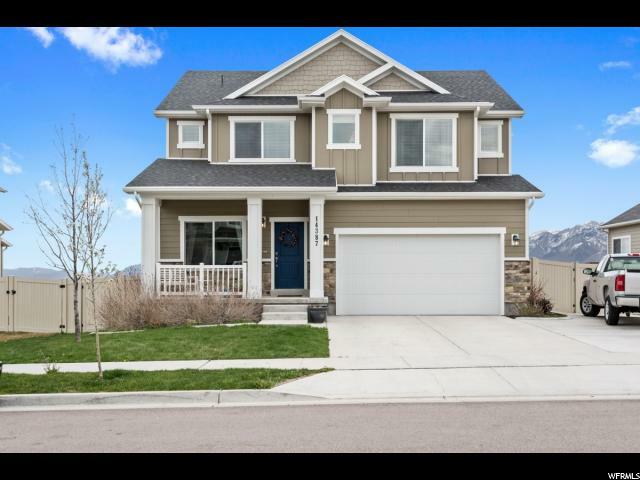 All ROSECREST COMMUNITIE homes currently listed for sale in Herriman as of 04/18/2019 are shown below. You can change the search criteria at any time by pressing the 'Change Search' button below. "Great VIEWS! 100% Finished walkout basement. Large trex deck w/ stairs access, gas fireplace, master garden tub, tankless water heater for unlimited hot water, loft built-ins, custom basement built-ins, 7.2 wired theater room, upstairs/downstairs double hvac systems, water softener, walk-in closets, underdeck patio, gas range, mudroom bench, wired cable & internet, fully landscaped, storage shed, fence, expanded driveway, clean and move-in ready. Buyer to verify all info provided. Square footage figures are provided as a courtesy estimate only. Buyer is advised to obtain an independent measurement."